David has had a life-long interest in the British countryside, its function and conservation. After 10 years in the Army he moved to Norfolk, where he has lived ever since. His business career has involved working with UK-based companies in the bottled water industry. He recently started a Norfolk company with the aim of encouraging more people to take an interest in the natural environment. Jonah is a river ecologist, with a background in conservation and research. He has previously worked with Wester Ross Fisheries Trust, University of Highlands and Islands, Yorkshire Water and the Yorkshire Dales National Park. Jonah leads and oversees many of our projects, from design through to implementation. Marie-Anne is our Finance Manager. She has a wealth of experience and knowledge in managing the accounts of small businesses and charities. Ursula coordinates the West Norfolk and North Norfolk CaBA catchments and runs the ‘Fishing for Youngsters’ Fishing School at Bayfield. She has worked with nearly 1000 children on projects such as the 'HLF Glaven Eel' and 'Hidden Heritage of The River Gaywood' projects, taking tanks of eels and invertebrates into the classroom, as well as coordinating river visits. Ursula has also led GCSE groups on their river study days and has ran several Yellow Fish Campaigns in local schools. With a background in ecology and conservation (as well as outdoor education), Ursula holds a crayfish survey licence and is currently working towards a great crested newt and water vole survey licence. Ed is our Head of Farming and Water, providing a strategic and integrated approach to implementing the Water Sensitive Farming initiative across several catchments. 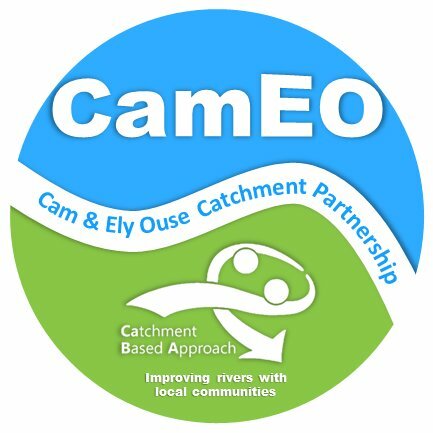 Previously, Ed worked as the Cam and Ely Ouse (CamEO) Catchment Farm Advisor, where he forged many positive relationships within the agricultural sector. Ed continues to provide free one-to-one farm advice on a part-time basis, along with implementing measures to reduce diffuse pollution from agriculture. Ed's past role was as a Reserve Manager, where he spent 12 years working at Pensthorpe Natural Park after gaining an HND in Countryside Management. He holds a BASIS Soil and Water and a FACTS qualification. As well as overseeing the Trust’s communications work, Georgia's main role is in supporting the Water Sensitive Farming (WSF) initiative. This involves using Geographical Information Systems (GIS) to analyse, visualise and identify areas to target measures to improve water quality. She also evaluates and reports on the work of WSF. Her academic and work background has been in Environmental Science, Research and Science Communications, with a focus on aquatic ecology, conservation and agriculture. Previously, she worked at the John Innes Centre, the Royal Society for the Protection of Birds (RSPB) and The Centre for Environment, Fisheries and Aquaculture (Cefas). Alison is our Farm Advisor working within the Broadland Catchment as part of the Water Sensitive Farming initiative, funded by the WWF & Coca-cola Freshwater Partnership. She has nearly 30 year’s involvement with farming and land management. Alison has previously worked for 10 years as the National Trust’s East of England Regional Farms Advisor and has also undertaken extensive work on agri-environment schemes; with a particular interest in soil and water management.  In her current role, she covers the rivers Bure, Wensum, Waveney and Yare (and their tributaries), providing advice to farmers and implementing projects to reduce diffuse pollution from agricultural practices. She has a BASIS Soil and Water qualification. With a background in Biodiversity, Conservation and Management, Becky has 18 years’ experience within the environmental sector providing technical advice, training, surveying, monitoring and management services. She has worked with Wildlife Trusts, the National Trust, local and regional authorities, NGO’s and private landowners to develop, implement and monitor a variety of landscape-scale projects including wetlands, catchment scale Non-Native Invasive Species (NNIS) control and eradication programmes; river walkover surveys and restoration; HLS schemes; white-clawed crayfish monitoring and translocation; and water vole monitoring and mitigation. Becky holds a crayfish survey licence. Sam is our new Farm Advisor working in the Cam and Ely Ouse (CamEO) river catchment as part of the Water Sensitive Farming Initiative, funded by the WWF & Coca-Cola Freshwater Partnership. Prior to this, Sam spent the past 5 years working at the Environment Agency in the CamEO Catchment to improve water quality and prevent pollution, with a focus on the water industry and agricultural sectors. In his current role, Sam covers the rivers Cam, Lark, Little Ouse and Thet (and their tributaries), providing advice to farmers and implementing projects to reduce diffuse pollution from agricultural practices. The trust is run by a committee of trustees with a broad range of expertise in conservation, land management, charitable trust, legal and business administration, compliance and accountancy and PR. David was born in Ireland into a farming background, where he developed a passion for conservation, wild places and environmental protection. Formerly a soldier, he has been a businessman for the last 18 years or so. He is currently a senior director in a Private Security Company working mainly in London, and has had a family home in Norfolk for over 30 years. Geoff grew up in Norfolk where he was fortunate to enjoy the best fisheries and countryside. Having progressed from the early days of fish farming and restocking our rivers in the East of England, he has now been able to lead people at a catchment scale, across all the elements that influence our water environment, in turning back the scale of environmental harm.  As well as his passion for Norfolk rivers, Geoff can bring a range of experience and networks, gained from his varied career in the Environment Agency, which will be important for helping to shape a sustainable future for the Norfolk Rivers Trust. Geoff is looking forward to an important journey with the Trustees, and to ultimately secure the Trust’s future for the long term. William was brought up in the West Sussex countryside where he developed a lifelong love of the country and country pass times. After qualifying as a graphic designer, he has worked in the design branding business since 1978. In 1986 he was a Founding Partner and Managing Director of Design Bridge Limited, becoming Executive Chairman in 2005 to 2018, with offices in London, Amsterdam, Singapore, Shanghai and New York. William has now semi-retired as Chairman, giving him more time to pursue his interests. Nigel Savory is a chartered accountant and, until he retired in 2014, was a partner in Grant Thornton and its predecessor firm in Norwich, KPMG. He specialised in commercial, agricultural and private client work. He is now chairman of AF, the country’s largest co-operative that purchases inputs and supplies for farmers. He is also chairman of RC Snelling and the Snellings Group, a director of Barratt & Cooke; Colleague Software and; Fakenham Racecourse. He is a trustee of the East Anglian Air Ambulance, Music in Country Churches and The Lady Hind Charitable Trust. Nigel was High Sheriff of Norfolk in 2006/7 and is a Deputy Lieutenant. He lives at Thorpland, near Fakenham and is a partner in the family farming business. The River Stiffkey runs through the farm. Ben qualified in Land Agency before working within a large national commercial property team. He subsequently worked as a market leader in the regeneration of brownfield land and later as managing partner in a local Commercial Agency. Ben will bring a wealth of experience and knowledge to the team. We recognise that meeting the conservation challenge requires a multi-disciplinary and collaborative approach, bridging political and social realms and engaging relevant partners, as well as the general public.